The Manufacturing Barometer survey is LIVE! We need your expert input. Help us report on the longer term health of the UK's SME manufacturing sector. 3 years, £1.75m claimed - are you missing out? If you have created or improved products, processes, materials or services in the last two years you, too, could qualify. Want hands-on support to help your manufacturing businesses review and implement strategic plans? SWMAS provides ongoing mentoring support and offers an efficient gateway to both our core manufacturing improvement services and a wide network of specialist support and funding. Discover the impact we have on the local supply chain, how we support collaboration & innovation, & plans for the year ahead. 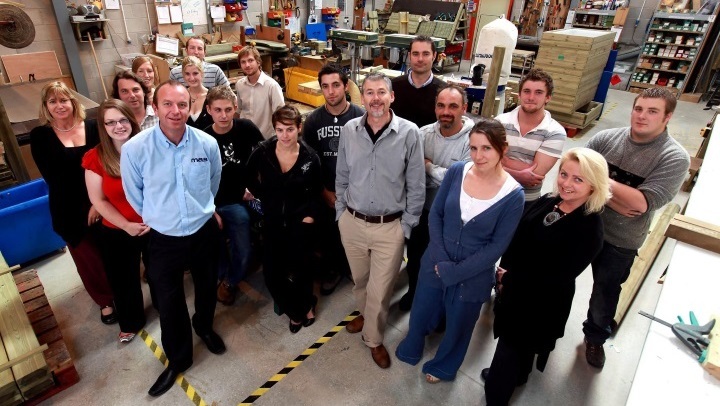 Comfortable working on both the shop floor and in the boardroom; our team of experts has a range of industry experience and technical expertise, from lean manufacturing to product development. We can help manufacturers shape business strategy, create new products, reduce waste and review supply chains. We act as a crucial link between public sector funded programmes and businesses thanks to our proven expertise in translating our market knowledge into meaningful support projects. This includes successful delivery of programmes funded under the European Regional Development Fund, Horizon 2020 and the Regional Growth Fund. Via our sister company Exelin, a development and improvement consultancy that aims to improve the performance of individuals and businesses, we work closely with companies across a wide range of sectors to inspire sustained business improvement.